Update: Several of you got it right. 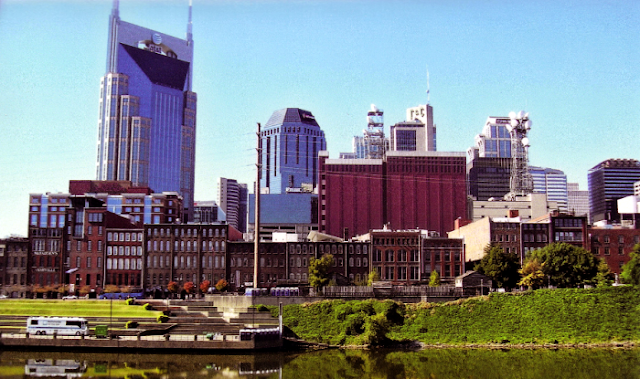 It's Nashville, Tennessee, taken from the parking lot of LP Field (where the Titans play) shot across the Cumberland River at downtown Nashville. Taken a couple months ago, long after the flood.